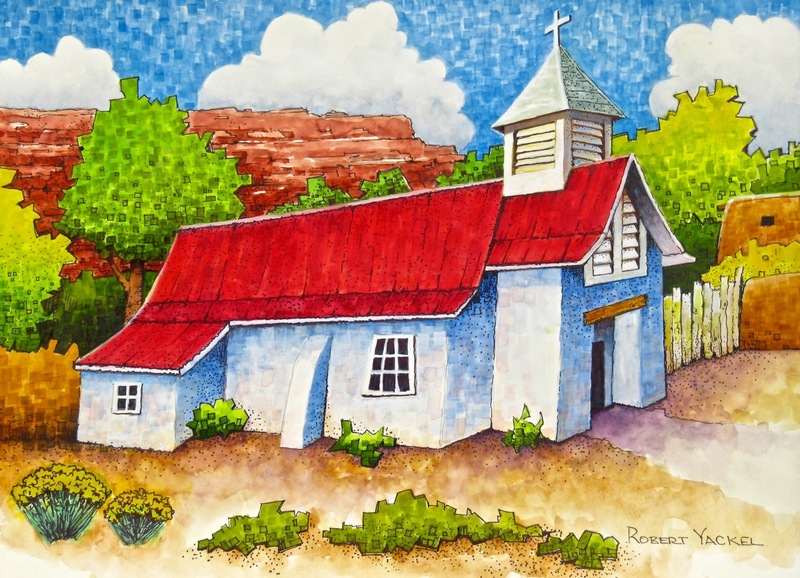 By the close of the August Kilborn Workshop Bob completed his latest rendition of the chapel in the rural New Mexico village of Pilar (located on the Rio Grande River south of Taos). Finished and signed. This entry was posted on September 8, 2014 at 8:29 am and is filed under Art, Paintings, Watercolors. You can follow any responses to this entry through the RSS 2.0 feed. You can leave a response, or trackback from your own site.